Professor Hasrat Hussain Kulgami was the chief guest on the occasion. 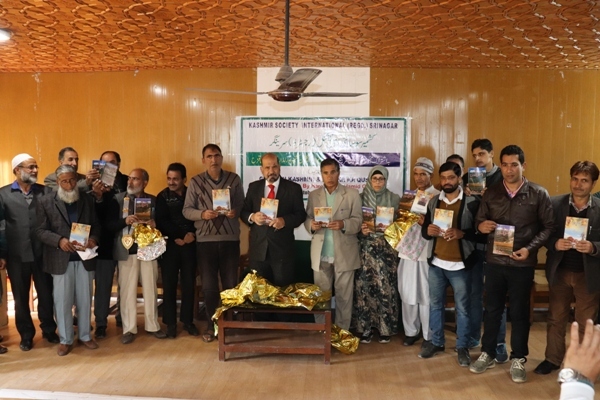 Pulwama: Two books released at a book launch ceremony at town hall pulwama. 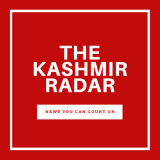 Ceremony was presided over by Farooq Shah Renzu Chairman Kashmir Society International. Two Urdu Books authored by Hamidullah Hamid, a retired district information officer and a well know author were launched in collaboration with Divisional Information Office Srinagar and the ceremony was presided over by Farooq Renzu Shah an acknowledged author, Novelist who later deliberated upon the description of the books and described in detail the importance of the two books calling them “a treasure of knowledge” which every Kashmiri should go through. The review about the two books was read by Maulana Tariq hamid nadvi, Ayub Javid Pulwamai, Dar hamid Sambori, Eng. Shabnum Bashir, Shazia Makhdoomi, Mushtaq Kulgami and Rashid Siddiqui. The reviewers praised the authors efforts he has put in to compile the two books. Other prominent personalities who were present on the occasion are District president Numberdar Association Haji Gh. Mohd Dangro, Dr. Farooq Wani, other prominent writers and poets and social workers. Vote of thanks was proposed by Mr. Showkat Hamid.